The traditional Grand Tourer has long been associated with elegance, pace and beauty. Rolls-Royce Wraith redefines the genre. Quite simply the most powerful Rolls-Royce ever created, this enigmatic motor car sets the benchmark as the ultimate luxury GT. 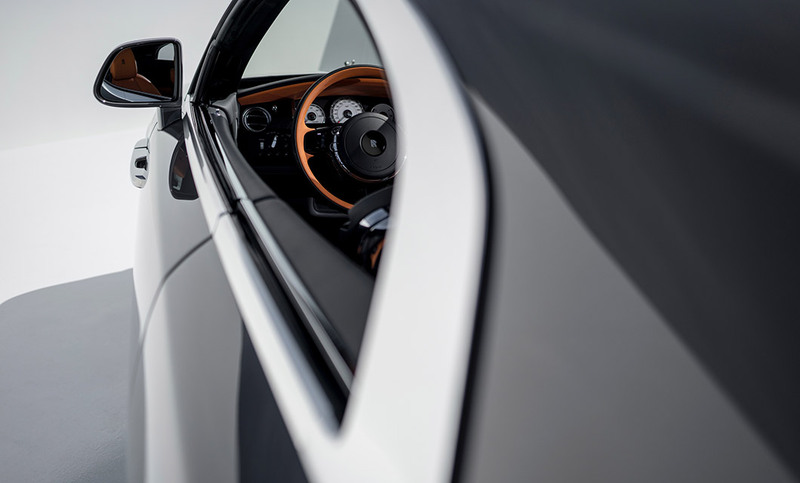 Wraith opens the door to an entirely new level of driving experience. 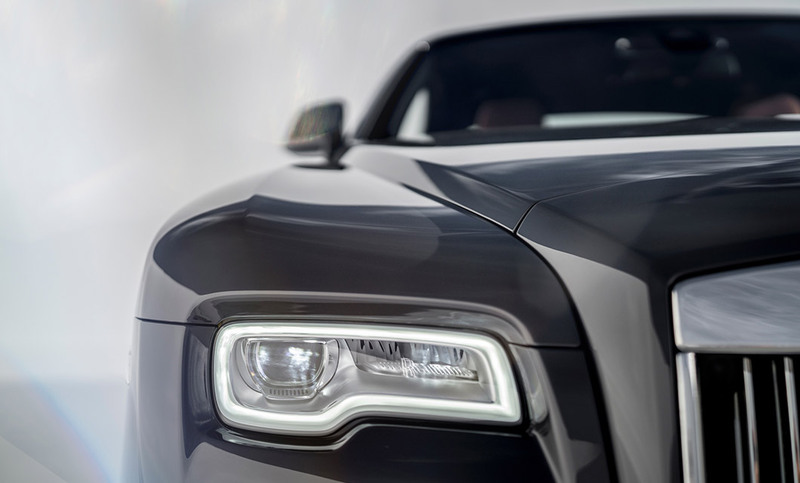 Available as Rolls-Royce Wraith and Wraith Black Badge, speak to the teams at Rolls-Royce Motor Cars Birmingham or Rolls-Royce Motor Cars Bristol for further information. While Wraith is daring and unique, the principal design signatures that set every Rolls-Royce apart are still very much in evidence; delivering the classic 2:1 proportions of wheel to roof height ratio, the long overhang beyond the back wheels, and signature rear-hinged coach doors. Wraith challenges the Rolls-Royce aesthetic boundaries in other areas. Its elegant fastback lines promise seamless performance and an adventurous spirit, while twin exhausts add a hint of controlled aggression to its powerful, striking silhouette. The combined effect is a motor car that draws covetous glances wherever it travels, finding beauty in the drama of every drive. 0-60 mph in 4.4 seconds, and just as swiftly on the journey of a lifetime, through the 8-speed satellite aided automatic transmission, effortlessly delivering 624 bhp in a seamless surge of energy. This is Grand Touring as a fine art, exquisitely transforming every journey, however long or familiar, into the ultimate driving experience. Enquire below for further information or to arrange a configuration session. 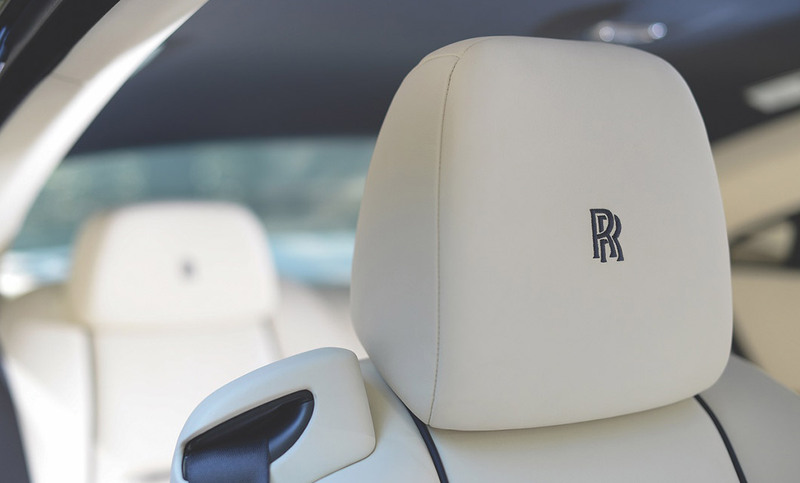 Personalisation is key, from adding embroidered motifs or insignias to the headrests or making an entrance with illuminated treadplates, there are unlimited possibilities to further personalise a Rolls-Royce. Our customers have gone to new lengths in uniquely tailoring their bespoke Wraith taking inspirations from favourite colours to memorable holidays and family crests. Please speak to a member of the team for further information on bespoke services. Below are the technical specifications for the New Wraith. Interested in a New Wraith?